Every morning this week when I’ve left for work, I’ve been hit with a blast of frigid air as I step outside into a world of ice and snow. I hurry to my car and as I turn the ignition, numbers in the single digits and teens flashed on my rearview mirror. 9. 12. 15. Brrrr… It is bundling up weather so I wrap myself in a big fluffy coat, a handknit fuzzy scarf and a mint green fleece hat topped with a pompom. 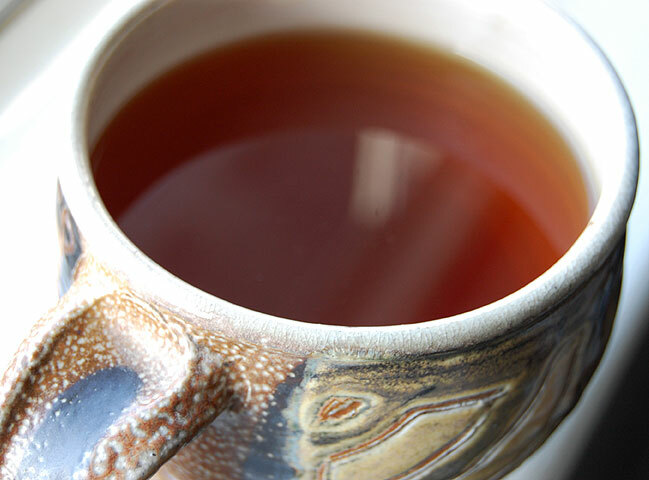 This is also weather perfect for a hearty black tea so this morning I am “wrapping” myself in the rich malty aroma and taste of an Assam tea from the Mangalam estate. 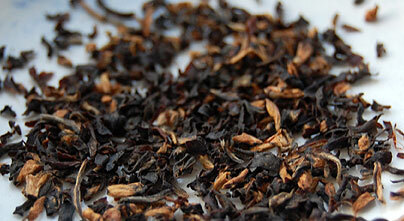 Assam Indian black teas are noted for their full body and thick dark liquor. This tea is a broken leaf grade so it brews up quicker than whole leaf counterparts since more leaf area is exposed to the water. I steeped the leaves for 4 minutes in boiling water. Notes of spice and bittersweet cocoa fill my mouth as I take my first sip. The leaf and liquor lend a dash of rich color to a cold winter morning. Today is my polymer clay guild meeting where I will experiment with making glazed face cabochons. I will share my results in a future post! 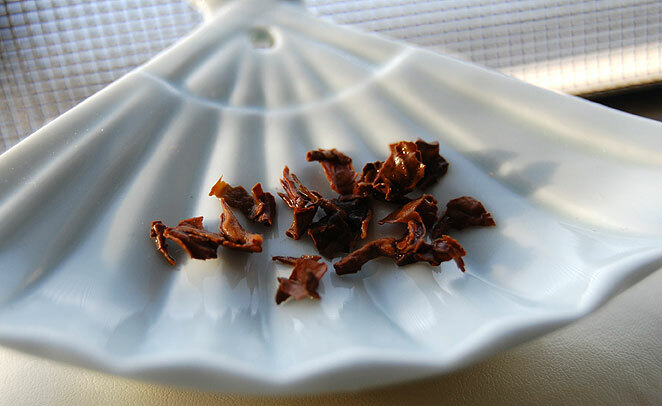 This entry was posted in Black Tea, Tea and tagged Assam tea, malty tea. as always I love the way the tea is presented. Will be keen to see your cabochons!!! Thanks! We had a great meeting and had a lot of fun making faces. I’ll post soon. Today will be filled with priming and painting.